The London Foodie: Japanese Spicy Pork and Seafood Nabe - A Hearty Japanese Hot Pot That Will Warm Your Soul! Japanese Spicy Pork and Seafood Nabe - A Hearty Japanese Hot Pot That Will Warm Your Soul! Trying to decide what dish to cook for this month's London Cooking Club event "Comfort Eating Special", was hardly a difficult task - it just had to be a Japanese Nabe. 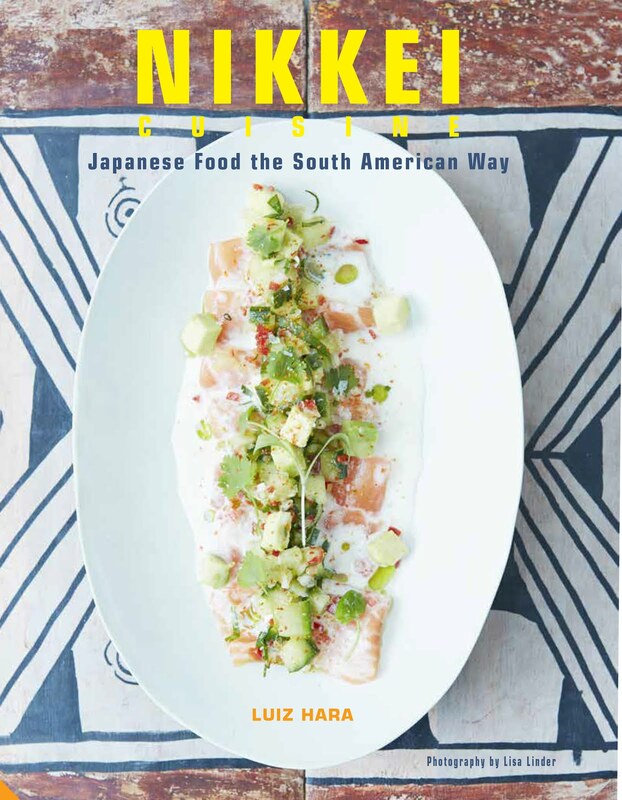 Few dishes evoke such wonderful foodie memories of my childhood as a Nabe. 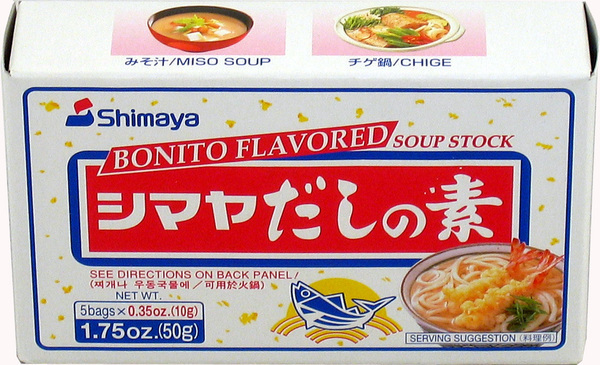 I remember spending many winter nights around a Nabe pan, fighting away the adults' chopsticks, fishing out my share of plump pieces of tofu, fish balls, and meats from the pan's sizzling broth. A Nabe is Japanese hot pot containing a variety of vegetables, tofu, meat and seafood cooked in a base sauce or broth. This is normally made from "dashi" (a Japanese stock made from water, konbu or Japanese seaweed, and flakes of dried bonito fish). It is very simple to make fresh dashi using these ingredients (to learn how to make fresh dashi, click here), but I find that for a dish like Nabe, the powdered dashi stock works just as well. This is because the broth will be used as a base to cook all vegetables and meats, so clear, delicate dashi stock is not really required for this dish. 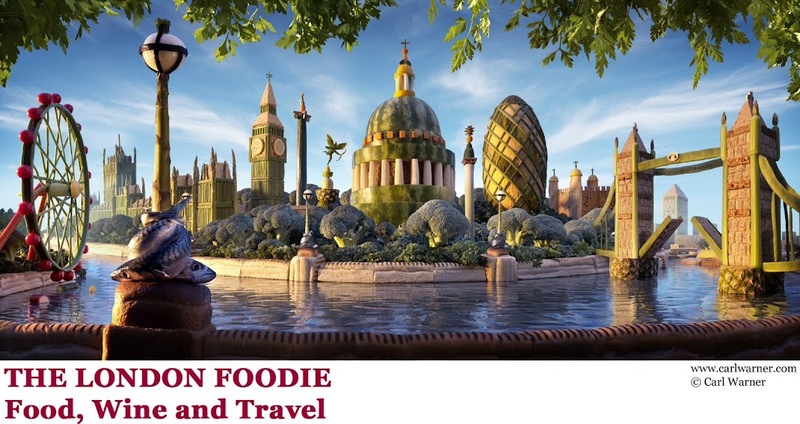 Ingredients can be adapted to personal taste. Thin slices of beef are more commonly used, but I love pork belly. Normally, a Japanese Nabe will have a simple and delicate dashi base, I like mine rather strong and slightly spicy. 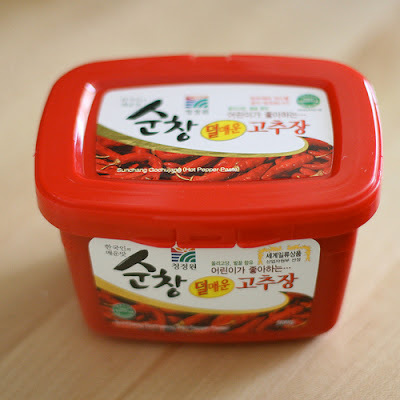 I use Korean "Gochujan" (made from red pepper, glutinous rice powder, chilli and fermented soya beans) for spiciness which also imparts a rich flavour to the broth. Chinese cabbage is widely used for Nabe, but I prefer a more aromatic green herb like perilla (Japanese shiso) or even rocket. 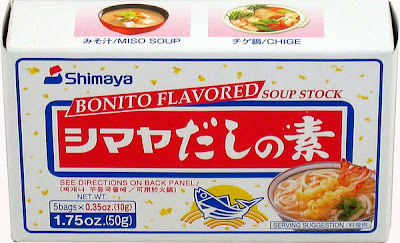 - Other optional ingredients: all of the above can be substituted or complemented by boiled eggs, gyoza dumplings, partially cooked slices of carrots, different types of seafood, chunky pieces of fish (monkfish, cod or salmon), konnyaku (Japanese jelly like foodstuff made from potatoes), other green vegetables or leaves. 1. Make the broth: boil 2 litres of water, turn the heat down and add the dashi stock powder, mirin (or 1 or 2 tbsp sugar), and soya sauce. Mix well until the dashi powder is completely dissolved. Taste for seasoning. If more seasoning is required, add more dashi or soya sauce. Add one tablespoon of gochujan, check for spiciness. Add more gochujan if required. You want to end up with a highly flavoursome sauce which is spicy but not overly so. 2. Add the sliced daikon (Japanese white radish) and simmer gently for about 25 mins until tender. The daikon will soak up the flavours of the dashi and make the broth sweet and rich (the broth can be prepared well in advance and reheated before the nabe is to be cooked). 3. Prepare all the ingredients to go into the nabe pot: blanch the green beans, partially cook the noodles, cut up the tofu, the cooked daikon slices, etc. Place all the ingredients on separate plates. 4. While the daikon is being cooked, prepare the nabe: using a nabe earthenware pot (a heavy cast-iron pan will also do well here), arrange all of the above ingredients in sections in the pan, there is no particular order for this. Once the pot is full with the different ingredients, cover it with cling film and place it in the fridge until it is time for it to be cooked. 5. Any ingredients that are not used to fill up the nabe pot can be placed on separate dishes on the dining table and used as refill for the nabe. 6. This is a sociable dish, where everyone contributes to the cooking, and will work better if cooked on a portable gas ring on the dining table. 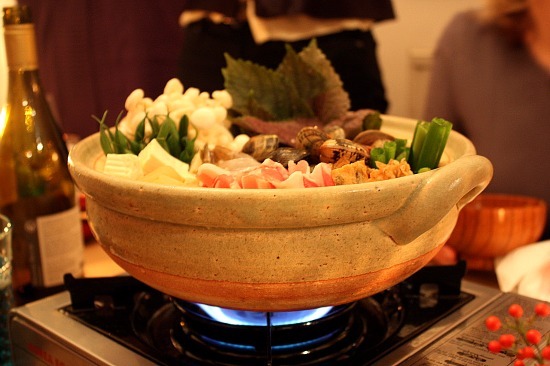 Place the portable gas ring on the dining table, turn it on and place the filled nabe pot over the fire. Gently pour the hot dashi broth over the ingredients and bring it to the boil. Gently simmer for about 10-12 minutes. 7. Try a piece or two of the ingredients to see whether they are cooked, meat and vegetables should be chopped roughly at the same size so that they cook evenly. Different foods will cook at different rates, so use common sense. 8. 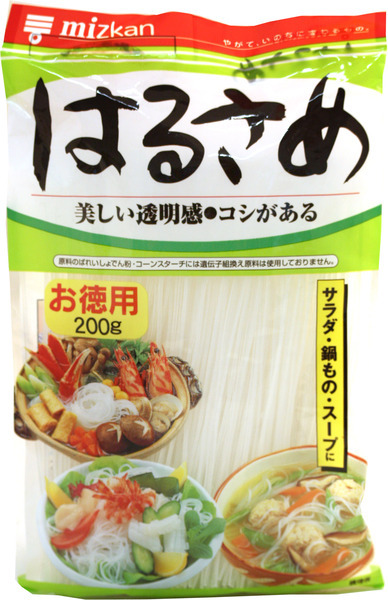 If using gomadare or ponzu sauces for dipping, place these in individual dipping bowls and distribute among your diners. A shallow rice bowl is ideal for this. 9. Another method of preparing the nabe is to boil the broth and then add the separate ingredients one by one as you like them. 10. The noodles can be added at the beginning of the cooking with the other ingredients or saved to the end when they can be added to the richly infused nabe broth. Cooked Japanese rice also works very well instead of noodles, and cracking an egg or two in to the mix will make it even more delicious! This looks so lovely and delicious! So perfect for a cold winter's day! Dear Luiz, thank you for a wonderful post! I totally agree: hot pot makes one of the best comfort food ever. More comforting in the way that it is to share with the people you love. I hope to make this myself one day soon. That looks utterly spectacular, Luiz! You've presented it so beautifully. Will definitely give this a go! What a wonderful looking dish. Adding the Gochujan to the broth is inspired as it would give a much more robust feel to the broth - very suitable for this never ending winter. Beautiful presentation and a clear advert for eating with your eyes as well as your nose and mouth. Is this Japanese style hot pot? I love hot pot.